The Healing Music Series offers the works of composers who are pioneering the use of music and sound for healing and enhanced well-being. Extensive notes explain the ideas behind each recording and how to best put them to use in your life. "Psychoacoustic" Audio processes elicit powerful physical and psychological responses. 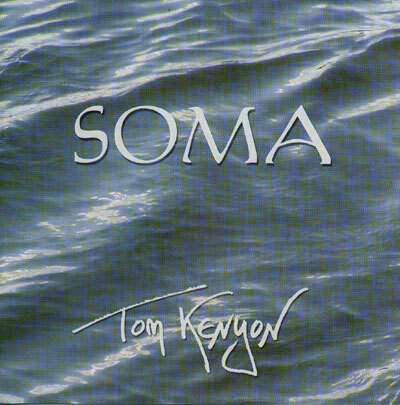 More than 15 years of clinical experience led Tom Kenyon, Musician and psychotherapist, to breakthrough discoveries in the use of music for relaxation, enhanced well-being, inner exploration and physical and emotional balance. Soma incorporates imbedded "Bio-Pulses" into a calming ambient soundtrack. These subtle pulses of sound are designed to stimulate your brain to produce alpha and theta brainwave states, associated with deep relaxation, meditation and creative dream states. Vocal "toning" techniques create a resonance which expands the inner field of awareness for creative processes. Soothing musical timbres and harmonic intervals based on ancient Freek models are combined to enhance healing. Finally Kenyon uses "essentic mutical forms" to elicit emotions such as love, joy and compassion in the listener. The physiological changes that occur with these emotional responses have been associated with enhanced immune functions and deep relaxation.